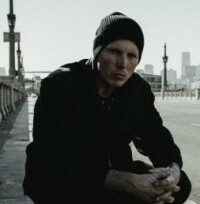 CANADIAN rapper Manafest has issued the single, "Come Back Home (ftg Trevor McNevan)". Read a review of the track, recorded with McNevan from Thousand Foot Krutch, published on the 365 Days Of Inspiring Media website, "Manafest delves into the parable of the prodigal son and how he feels after he's messed up and all he wants to do is come back home to the Father. A call and response song in which the chorus sung by Trevor is sung from God's point of view, reminding us all that we can come back home into his arms." Manafest releases remix of "Find A Way To Fight (Doug Weier Remix)"